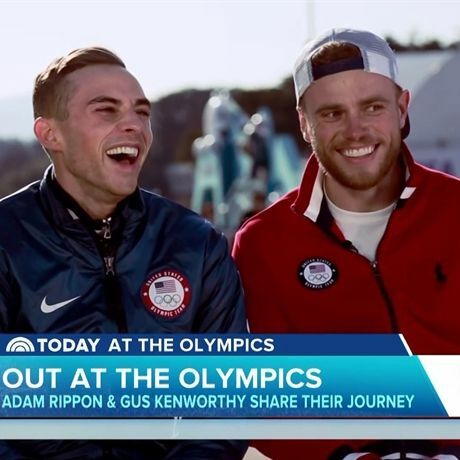 U.S. figure skater Adam Rippon and freestyle skier Gus Kenworthy garnered a lot of attention during the 2018 Winter Olympics in Pyeongchang — and not only because are they both incredibly talented (and charming), but they were also competing as two of the only openly gay athletes on Team USA. Now, the duo has opened up about the experience in a new interview with the . The skier also said he hopes the pair’s experience will encourage other gay athletes to come out. “Hopefully people will see the reaction we got, because I feel like we were so supported during this games and had so much love and encouragement that it will provide people the solace they need to come forward themselves,” Kenworthy said.